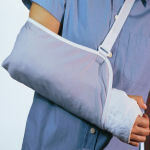 Negligence simply means carelessness that leads to an injury. A person operating a car that goes through a red light and hits your car is negligent. A doctor that leaves an object in your body during surgery is negligent. A construction site does not have 100% fall protection is negligent. Negligence can be defined as doing something or the failure to do something that an ordinary person would do under similar circumstances. Ianiri Law, LLC can help identify if negligence was present and the offender had a duty to protect you. A wrongful death occurs when a person is killed due to the negligence or misconduct of another individual, company or entity. If your spouse or family member has been killed under such circumstances, contact Ianiri Law, LLC immediately! An injury-causing auto accident should not be taken lightly but should be dealt with in accordance with the existing provisions of law which covers personal injury cases to at least threaten unruly drivers to be more cautious on the roads. If you have been involved in a serious accident, contact us for a free consultation. A slip and fall is the generic term for an injury which occurs when someone slips, trips or falls as a result of a dangerous or hazardous condition on someone else's property. It includes falls as a result of water, ice or snow, as well as abrupt changes in flooring, poor lighting, or a hidden hazard, such as a gap or hard to see hole in the ground. The National Center for Injury Prevention and Control estimates that more than 8 million people a year are injured in falls. If you are on someone else's property and injure yourself as a result of a dangerous condition on the property, the landowner or business proprietor may be liable for your injuries. If you are a property owner and someone injures himself on your land, you may find yourself legally responsible for someone else's injuries. Either way, call us today if you are a party in a slip and fall claim. You paid your premiums, now you need to make a claim. Your insurance company refuses to pay, or stalls you, hoping you'll give up. This is called bad faith insurance which is an illegal breach of contract with you. Contact the Law Offices of James M. Ianiri if you are not satisfied with how your insurance company is dealing with you. We have experience with both sides of the insurance industry and can help expedite your claim. We serve the greater Boston area including the south shore and Southeastern Massachusetts.